Today our tired Life Teen twenty-seven rose early to attend the first optional Bible Study with Mark Hart. The Bible Geek kept us entertained as we explored 2 Samuel 7 and Luke 1:6. The focus was Mary as the new Ark. This was our first full day at the Life Teen Conference. Peter Samson, Paul Kronenberg and Ryan Glass gathered together for a group discussion after a presentation in the college gym. Jay Valentin, Sean McVeigh and David Mulry listen attentively while the others in our group share some personal challenges in their lives. Juliana Restivo and Michael Kurczak pause for a moment during our first night dinner. Pork and ribs was the featured entree at this Atchison downtwon restaurant. Our day was filled with prayer, silence, presentations, recreation and, of course, lots of food. We prayed the Liturgy of the Hours, celebrated Mass in the Abbey Church, strolled outside for silent time, and ended the day with Eucharistic Adoration. Tomorrow some of us will be up to pray Morning Prayer with the Benedictine Monks in th Abbey Church. This young lady we met at last year's Life Teen Leadership Conference at the University of Notre Dame. An absolutely beautiful voice. Great musician. And a Catholic sharing her faith. This year we brought twenty-four Marianist high school students and four teacher chaperones to Atchison, Kansas for the Life Teen Conference. The Conference is held at Benedictine College for the first time. Over 450 students from around the United States are opening their hearts to the Holy Spirit from Monday, June 28 to Friday, July 2 for the event. Our first day of the Conference has finished and we are exhausted. The Sacrament of Reconciliation was available for all in the evening portion of the program. Please keep us in your prayers as the Conference continues. The greatest event in sports is captivating an audience numbered in the billions with displays of passion rivaling the most fervent among the religious faithful. Prayers are offered; some silently, some aloud with great fervor. I don't know if any of you are watching the World Cup. England striker Wayne Rooney was blocked from discussing his religious beliefs by a Football Association official at the World Cup. 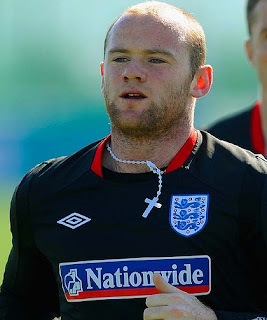 Rooney had offered an insight into his Catholic faith by explaining why he wears a prominent cross and rosary beads around his neck when he's not playing. He said: "I've been wearing them for about four years now and you don't usually watch training (to see them.) I obviously can't wear them in games. It's my religion." That prompted a further question. But Mark Whittle, the FA's head of media relations, interrupted Rooney in the off-camera briefing by saying: "We don't do religion." For the past three weeks I have been on retreat to prepare for my perpetual vows which I will profess on August 8th at Kellenberg Memorial. Also making the retreat are Brothers Robert Jones and Andrew Kosmowski of the Province of the United States. The retreat is directed by Fr. Mike Lisbeth, S.M.. The retreat is divided up into four sections: Encountering Mary of the Annunciation, Standing with Mary at the Foot of the Cross, Together with Mary and the Apostles in the Cenacle, and With Mary as a Servant at the Wedding Feast of Cana. The retreat’s foundations are the Sacred Scriptures, writings of Blessed William Joseph Chaminade, and Venerable Mother Adele. Also time is given to grow in your relationship with God through personal prayer. 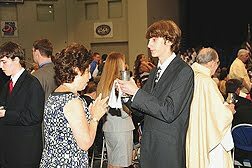 We were able to renew both our Baptismal Promises and the seal of our commitment at Confirmation, and share in the sacrifice of the Eucharist each day. I spent a good amount of the time reflecting on the actual vows that I will be professing: poverty, chastity, obedience, and stability. During a period of meditation on the first four Chapters of the Acts of the Apostles, I saw how the first community lived the vows through their witness. Much attention is given to the vow of stability on the retreat. From the Rule of Life we read, "In particular, Marianist stability motivates the religious to penetrate into the vision of Father Chaminade concerning the role of Mary." Through our vocation as Marianists we find joy in honoring Mary and by forming others in faith. The retreat has strengthened my call to follow Christ more closely as a Marianist Religious. 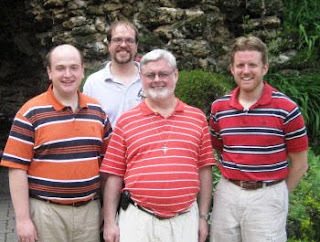 Please pray for the Brothers making their perpetual vows, the brothers who have already made there commitment, and for anyone who is considering a Marianist Vocation. May the Father and the Son and the Holy Spirit be glorified in all places through the Immaculate Virgin Mary. Bro. Daniel M. Griffin, S.M. The reflection came from the readings of the day. St. Matthew offers us the story of the leper whom Jesus healed. The leper who showed great faith was convinced that Jesus could help him if he wanted to. But knowing that wasn’t enough; he had to do something about it as well. Despite his disfigurement and illness, he made his way through the crowd and walked up to Jesus. It took all the courage he had to declare: “Lord, if you wish, you can make me clean." Jesus rewarded his confidence: In an instant, his leprosy was gone. But that wasn’t the end of the story. 1) The leper came with confidence. He had no doubt that, if Jesus willed, Jesus would make him clean. He had perfect confidence in Jesus’ power. 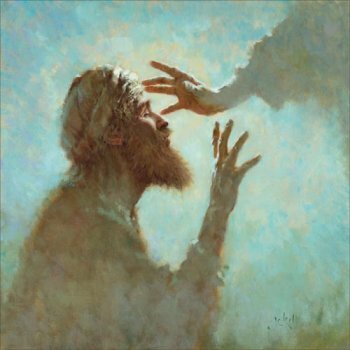 2) The leper came with humility. He did not demand healing. It were as if he said, “I know I don’t matter; I know the other men will flee from me and will have nothing to do with me; I know that I have no claim on you; but perhaps you will give your power even to one such as I.” It is the humble heart which is conscious of nothing but its need that finds its way to Christ. 3) The leper came with reverence. That leper could never have told anyone what he thought Jesus was; but he knew that in the presence of Jesus he was in the presence of God. And then came the reaction of Jesus. First and foremost, that reaction was compassion. For Jesus there was only one obligation in life – and that was to help. May we continue to be graced with confidence, humility, and reverence, to respond with compassion. Blessed William Joseph Chaminade calls all of us: "It is an infinite honor to be like Him." The Lord indeed grants special graces to those who answer His call! I recently spent a week living in one of the Marianist communities here on Long Island. Wow! What abundant grace God has poured out on the Brothers who, like the apostles, give testimony to Jesus by sharing in His work. To say that the day of a Marianist is full might be an understatement. From early in the morning (and I'm not a morning person!) to late in the evening the Brothers pray, share meals, and operate our schools tirelessly and with a great joy that can only be explained by God's grace. Jesus may invite us to share in His ministry, but He doesn't send us out alone - He fills us with His Spirit and energy. During this week of prayer and self-reflection I asked God for two personal graces: wisdom and patience. One morning I was driving along and the old Stealers Wheel song Stuck In The Middle With You came on the radio, "Yes I'm stuck in the middle with you, and I'm wondering what it is I should do...trying to make some sense of it all...here I am, stuck in the middle with you." Sometimes I really do feel stuck when it comes to answering God's call. I am often tempted like Moses at Meribah to repeatedly strike the rock in frustration. Provide water now God! Conform to my time frame! Make this easier! Make this clearer! My consolation is knowing that I am stuck in the middle with Christ, who was literally stuck in between one cross and another, crucified in the middle. From the cross Jesus doesn't offer ease or clarity, He offers grace. Wisdom and patience, Lord, grant me the wisdom to know your will and the patience to endure your plan! From its very foundation, the Society of Mary has given great emphasis and experience, both in the expression of the religious commitment of its members and in the apostolic services it has rendered to the Church. In Community, the members of the Province earnestly strive to follow the Gospel by creating a family spirit of shared prayer, shared work, and shared vision. Through its apostolic activities the Province fosters communities of faith and strives to communicate the person of Jesus Christ. The family spirit that is present among the Brothers is certainly a vocational attraction. We live together, eat together, pray together, cook together, teach together, work together, laugh together, and share every aspect of our lives with one another. This companionship is shared with those whom we work in our schools. Our students notice, experience and develop the same family spirit. You might think that these men who make the same vows might all turn out pretty much the same. Well, we do share many similarities even beyond the black suits and ties we all wear. But even though we all made the same vows in the tent of the same Church, we are men of many different stripes and our differences are as variegated as nature and grace can possibly allow. "Behold how good and how pleasant it is for brothers to dwell as one ..."
Religious life has a long history in the example and teaching of Jesus. He himself lived a life of chaste self-dedication to God, in poverty and obedience, and He encouraged His disciples to do the same. From the earlist days of the Church men and women responded to this call, imitating Christ more closely and following Him with greater liberty, through lives of committed poverty, chastity and obedience. Saying ‘yes’ to the Father’s call and to the prompting of the Holy Spirit, they choose this way of life to devote themselves to Christ with an undivided heart. Like the Apostles, they leave everything to be with Christ, and to put themselves at the service of God and of their brothers and sisters. The Marianists from the Province of Meribah live together in Community, supporting each other in a shared way of life, in prayer, and in dedication to the apostolate of education. The Marianist religious life is a gift of God for the individuals who are called, and for the whole Church. "Direct your children to the right path, and when they are older, they will not leave it." Today we have an inspirational video by Sharefaith that explains how a father can give a godly example to his children and can leave godly legacy. As Marianists we are always trying to give godly example for those young men and women whom we serve in our schools. We see a very close connection between service of the Word of God and a Catholic educational program whose chief aim is to provide a religious environment for the young. Here in an educational environment, we are corporately committed to effectively communicating the Gospel of Jesus Christ to all Christians. From the very beginning stages of our Province we have embraced education in the Catholic school as our primary apostolate. This commitment has been made in response to the teaching of the Popes and of the Church regarding the value and effectiveness of Catholic education. From its earliest days, the Society of Mary has effectively run schools in the service of the Church. Drawing upon the tradition of experience and success in running Marianist schools, our Province understands the professional and evangelical opportunities of the school to be great gifts and challenges in the service of the Church. Two weeks ago I finally wrapped up four years of Catholic High School at a local Marianist high school. I cannot express in words how grateful I am to God and His plan for me. I had a 180 degree turn in academics, athletics, and most of all, faith over the four years. But in the past few months of school and the first month of summer, I have really noticed a growing trend in a lot of guys my age. They seem to be selling out. The graduation parties overwhelm their lives, the beer and vodka take precedence over a lot of their other priorities, and getting with the hottest and most generous of girls has all of a sudden become the norm. It is not that I was oblivious to this throughout high school, but for some reason any outsider to this culture can agree that more and more guys seem to be selling out to this mentality. It is such a shame to see this begin to happen at such a momentous turning point in our lives. Looking back, I think I have done a good job at balancing my faith life with hanging out with other guys my age who have fallen victim to this mentality. I have been truly blessed with friends who some take their faith seriously, and others not so much, but all live fairly moral lives. I thank God for that. But lately you can tell both types of guys are being pulled into this crazy world that our media is portraying, a world of lies and disarray of the truth. And I am here to tell you, we will not give in. Jesus Christ calls men to serve His church, not “the boys.” He calls us to be an instrument of faith to all people, not just the righteous. Though it seems I just ripped apart some of what’s going on for a lot of young guys, be a symbol of morality for those who have fallen victim and sold out. We, you, and me, are the men Jesus has called. Contributed by one of our Marianist high school graduates. Last Sunday I graduated from a Marianist high school after four years of hard work, great fun, and lots of learning. It was one of the greatest days of my life, a bittersweet moment of incredible joy and nostalgia. Some things that usually come with such a big milestone of life are celebration and everyone’s favorite, presents. For most of my fellow graduates, myself included, these gifts take the form of money, trips to Europe, cars, books, parties, etc. All those things are great fun, some are actually useful, to take or use in college, to continue learning, or to bond with family and friends. One of the gifts my parents gave me was to have my maternal grandparents come for my graduation; and it was from my grandfather that I received the best graduation present. As part of the graduation ceremonies, we always celebrates Baccalaureate Mass; this Sunday it coincided with the Feast of Corpus Christi. 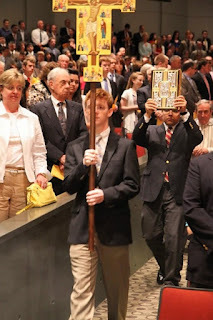 I had volunteered to serve in the Mass; so, naturally, I had to show up early. When I was ready to leave, my grandfather told me he wanted to go with me. In the car, my grandfather poured his heart out to tell me how proud and joyful he was of my graduation. He told me, that as his eldest grandson I reminded him of my deceased uncle, his first-born who graduated from college a few months before his car accident. Then, he gave me a book by Cervantes, told me to never forget my roots, and to keep on learning. Lastly, as we were going into the parking lot, he revealed his most cherished gift. He looked me in the eye and told me to find a priest to whom he could confess his sins because he wanted to receive Communion in celebration with me. I was shocked; this was the first time in years that I had seen my grandfather willing to take part in the Eucharist. I was also moved to tears of joy, because I had in front of me a man who understands the depth and the power of the Sacrament that I so often forget. I decided to write about this powerful anecdote because from it I learned many things about my faith, and especially about the Eucharist. First, I was reminded that the celebration of the Eucharist is a joyful but serious matter. Too often we forget this and we go to Communion automatically, without much thought, without regret for our sins, and without the thankful and joyful attitude with which we should receive Our Lord. Second, I witnessed the power of the Sacrament of Reconciliation. Going into the auditorium, before his Confession, my grandfather was sad and anxious. Afterwards he was calm and prepared to fully participate in the Eucharist. Again, that is how we should go into Mass. Last and certainly not least, this anecdote woke me up to the realization that the Eucharist is a gift. It is a gift from God, freely given for us to take part in, to enjoy, and to share with others. It is the gift of self that Christ, Our Lord and brother, gave for us. Through it He calls us to give ourselves to His will. Finally, it is the greatest gift because only if we receive the Body, Blood, Soul and Divinity of Our Lord how it is meant to be received are we given the eternal gift of salvation. "Fathers leave an indelible impression on their children because their role as a father is linked to another fatherhood. Although this other fatherhood is unseen, every human heart has a deep, incessant desire to be joined with it. God the Father has made each of us to have a family bond with himself. 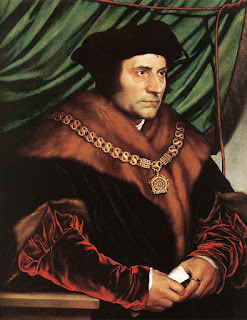 As a result, the human heart is constantly restless until it is united to the fatherhood of God." The need for redemption is hard-wired into our souls. "Yes! I will do what you are calling me to do." What about if today he grabbed your hand and said, "Come, follow me." What would you do? Would you respond to the call of Jesus? Would you respond to His desire to follow Him? Or, do you have other things to do? 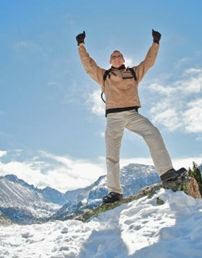 Do you have things on your agenda that you cannot give up? Do you keep turning away and avoiding, rather than following His invitation? The primary function of the religious consecration of vows is to provide the religious with a life orientation structured toward personal sanctification on the one hand and the salvation of souls on the other. The religious Brother serves as a reminder of the ultimate importance of God in everyone's life. It is as the late Pope John Paul II said, "By seeking and following Christ, particularly in chastity, poverty and obedience, you give the world a concrete testimony of the primacy of spiritual life." of the Society of Mary. How much easier it would be to follow God if we could just see Him. Just rest our eyes on Him once. The truth is that if we open our eyes, we can see He is all around us. We just fail to see and recognize the evidence. There are so many things, like gravity for example, which we can not see, but that we know are real because we see their effects on the world around us. In the same way, we can not see God, but we can see Him at work in this world. He is making Himself known, and the proof is all around us. God calls us to do many different things. Sometimes he calls us to be a teacher or a doctor. Sometimes we are called to married life, single life or possibly a special calling. What is this “special calling” you ask? Well this “special calling” is to priesthood or religious life. Some, but not all might have this special calling. The other day I stumbled onto a very unique video. It got me thinking about my own life. The video I happened to stumble upon was a vocation video. I know that a call of this nature is quite frightening. Some surely would just run away from God and think nothing of it. Then there are the others. Others who let the idea develop in their hearts. These are the real men. These are the brave ones who are willing to explore the possibility of a vocation. Could you give your life up for Christ? And then I ask myself, if I could give my life up for Jesus Christ? There are many who have given their lives up for the service of the Church as Marianist Brothers or diocesan priests. If you know some of these men, you can certainly see that they are very devoted and happy at what they do. Are you receiving a “special call” from God? If so how will you respond? May God who has begun this good work in you know bring it to completion. This is the ninth in a series of student reflections from the Life Teen Leadership Conference last summer. Over 500 young men and women gathered together to learn and express their faith. I really didn’t know what to expect from LifeTeen when I first arrived at Notre Dame in late June. I had heard that it was a “Catholic Leadership Conference”, but I honestly wasn’t very sure what that even meant. LifeTeen certainly exceeded whatever expectations I had, however, as that week I spent in Indiana turned out to be one of the highlights of my summer vacation. I went to LifeTeen with 19 other students from Kellenberg and Chaminade High School (some of whom I was friends with, and others whom I barely knew or had never even seen before) as well as 4 teacher chaperones. Though I originally did not have high hopes for making any friends among the group from Chaminade, a day in Chicago at the “Taste of Chicago” Festival certainly helped break the ice, as well as the 2 hours we spent under an overpass when our bus’ tire blew out and nicknames were given to nearly everyone on the bus. Some of these nicknames even have lasted throughout the summer, (Example: The Professor) and they let us all laugh at each other. I became much closer with that group throughout the week, and feel a special connection with all the people, teachers and students, who came on the trip with me. From waking up with Dan Brandon at 5:30 AM to go running around the lake with The Professor. And then to our daily soccer and ultimate Frisbee matches, the entire group had become very close by the end of the week, and I have made quite a few new friends from the experience. Another notable thing about the Life Teen experience was the enthusiasm of all the other Catholics from around the nation. Even though I, and I’m sure at least several other students in our group, were a little shocked from the enthusiasm of many of the other Catholics in their faith, the feeling turned out to be infectious. By the middle of the week I was fully immersed in Life Teen and loving every minute of it. I was doing hand motions to a whole host of songs sung by the excellent musicians, experiencing Mass on a level I have never experienced before, and even bear-hugging random people from Texas. I absolutely loved the spiritual feeling that seemed to live in every single person at Life Teen that week. The discussions we listened to every day were both entertaining and greatly relevant to my life. I’m glad I did write in the journal that we received, as many of the lessons we learned in the discussions have already helped me become a better person. I know I’ll always be able to look at my LifeTeen journal when I’m struggling and be strengthened by the reminder of God’s love for me. The two most meaningful things I experienced during the week I spent at Notre Dame were the Adorations and Masses. I had never particularly enjoyed Adoration beforehand, but during Life Teen, I finally understood what it was all about, and was able to fully immerse myself in it every night, so much so that I actually looked forward to it by the end of the week. I now make every effort to go to Adoration Thursday nights at my own parish. Before Life Teen, Mass was a very routine experience for me. I often would find myself losing focus during Mass and thinking of other things, and often failed to get any meaning out of the homilies. That certainly changed after Life Teen though. During that week, I witnessed the most beautiful Masses I have ever experienced in my life, and experiencing them with other people just as enthusiastic in their faith made it even better. Now when I go to Mass, I no longer day dream or lose focus. I can understand the homilies and messages in the readings, and understand the significance of the Consecration. Life Teen radically changed my perception of Mass, from a weekly thing that I had to do, to an incredible experience every week that could bring me closer to my God. On Friday, I found myself almost sad that I had to go home to my family again, because it meant the end of that great week where I was surrounded by that infectious enthusiasm and spirit. I feel that that week at Notre Dame has changed who I am spiritually and brought my closer to God as well as the other people on the trip. The Life Teen experience has made me into a better person and a better Catholic, and I am so glad that I had the opportunity to go. On June 27, 2010, twenty-four students from our Marianist high schools will be traveling to Benedictine College in Kansas for the Life Teen Conference. 13 days to departure. Pray for us! Both of our Marianist high schools celebrated Graduation Sunday with a Baccalaureate Mass and Commencement Exercise last Sunday. 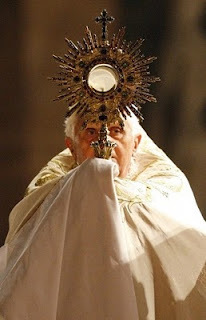 The day began with the Eucharist at 9 a.m. on the Solemnity of Corpus Christi. Extraordinary Minister Michael Brodnansky assists at the Hofstra Arena distributing the Blood of Christ. 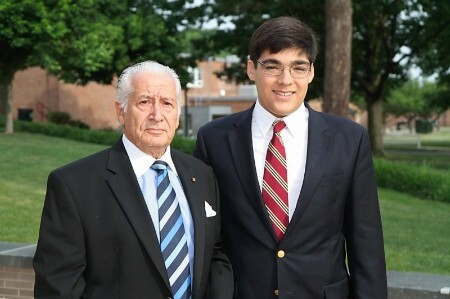 Alfredo Guzman accompanied his grandfather to the Baccalaureate Mass at the Tilles Center of the Performing Arts. 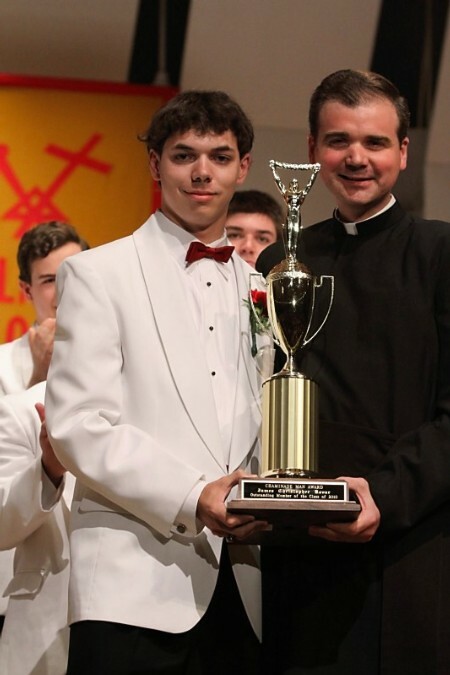 Above, Father James awards the Chaminade Man Award to the most outstanding senior class. The procession for the Eucharist celebration begins above at the Tilles Center. 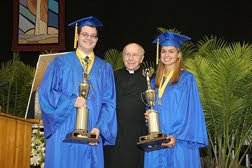 Father Philip with the two most outstanding seniors of the senior class. "So then, just as you received Christ Jesus as Lord, continue to live in him, rooted and built up in him, strengthened in the faith as you were taught, and overflowing with thankfulness." 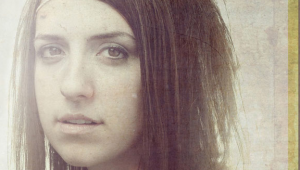 Here is a great video named Armor of God from Life Teen. "Mary will introduce you to this adorable heart, and studying the heart of Jesus you will learn how we should love and honor Mary"
What is the "heart" of Mary? St. John Eudes, master of the devotion to the Hearts of Jesus and Mary, explains that the heart designates the entirety of the person: his will, his intellect, his soul, his passions, and even incorporates his body. The Father looks down upon the heart of his Immaculate Daughter and sees His greatest created masterpiece, second only to the sacred humanity of his incarnate Son. Far beyond the seven natural wonders of the world or even the heavens, the Immaculate Heart represents the greatest craftsmanship of the Creator. Full of grace beyond all other creatures. The Son gazes at the Immaculate Heart and His heart leaps with infinite joy, reverence, and gratitude for His all-loving Mother. If sons instinctively honor and defend their mother by some code of natural law, how much more does a divine Son love his tender, compassionate human mother? 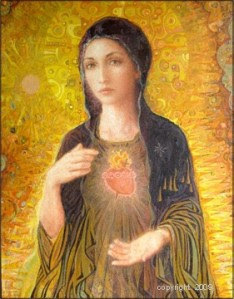 Jesus also sees in the mystery of the Immaculate Heart the means by which He received his own human heart, as blood pumped from that sinless heart flowed into her spotless womb to form the human heart of the divine Redeemer. This is why the saints never separate the Hearts of Jesus and Mary in their spirituality. St. John will add that their hearts are so united in perfect conformity to the Father's will that it is most accurate to speak about the one, single "Heart of Jesus and Mary." Above, Brother Michael Joseph, Father Francis and Brother Peter pause after the celebration of the Eucharist in the Catacombs of Saint Priscilla in Rome, Italy. The three Marianists were in Rome to celebrate the Canonization of Saint Jeanne Jugan, the Foundress of the Little Sisters of the Poor. We also celebrate today the Anniversary of First Vows of one of our Brothers in the Province of Meribah. Brother Peter Heiskell celebrates 22 years of religious consecration in the Society of Mary. May the Father, and the Son, and the Holy Spirit be glorified in all places through the Immaculate Virgin Mary. Amen. 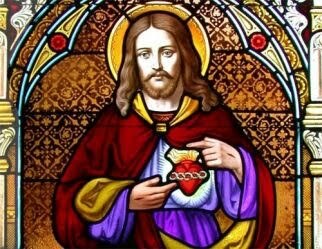 Sacred Heart of Jesus, pray for us! and thereby to find and to fulfill myself. and that every path can lead me to You. by which You want me to come to You. and with all my strength right to the end. Today we also celebrate the Anniversary of First Profession of Brother Benjamin Knapp, S.M. Brother Benjamin professed his first vows of poverty, chastity and obedience 15 years ago today in the Society of Mary. Throughout those years he has been involved in the apostolate of education at Chaminade High School in Mineola, New York. He has taught Earth Science and Physics. He has also assisted the Province as the Director of Meribah - Chaminade Retreat House in Muttontown, New York. Congratulations on many years of service to the Church and Our Lady! May the Father, the Son, and the Holy Spririt be glorified in all places through the Immaculate Virgin Mary. Amen. The Art and Chaos of Misdirection. Direction requires concentration and focus. Today's blog includes some thoughts on seeking direction and giving oneself direction as we discern our vocation. After you finish reading the blog today, focus and concentrate on the video for today. Give all your concentration. Pay attention! Closer attention! ENJOY! The key to finding our vocation is giving direction to our lives. And the direction we must absorb is prayer. Our world is full of distractions—TV, internet, cell phones, texting, IPods, commercials, Twitter, etc. Few people take the time to pray in silence every day. We encounter God and who we really are in the eyes of God in this silence. However, it is in this silence that the Lord speaks directly to our hearts. Recently the Holy Father encouraged us to conform our lives to the Cross. It is the Cross that gives us direction towards selfless love. “Understand what you do, imitate what you celebrate, and conform your life to the mystery of the Lord’s Cross”. As we proclaim the Cross of Christ, let us always strive to imitate the selfless love of the one who offered himself for us on the altar of the Cross, the one who is both priest and victim, the one in whose person we speak and act when we exercise the ministry that we have received. As we reflect on our shortcomings, individually and collectively, let us humbly acknowledge that we have merited the punishment that he, the innocent Lamb, suffered on our behalf. And if, in accordance with what we have deserved, we should have some share in Christ’s sufferings, let us rejoice because we will enjoy a much greater gladness when his glory is revealed." Last evening the Province gathered to offer prayers and best wishes at a Bon Voyage Celebration for our Missionary Brothers. Brother Mark will return to India to assist in the missionary work of the Society of Mary. Brother Timothy and Father Thomas will travel to the Solomon Islands for our Province missionary work this summer. These Brothers professed their vows of poverty, chastity, and obedience thirty-five years ago. May the Father, Son and Holy Spirirt be glorified in all places through the Immaculate Virgin Mary. Amen. Below is the promotion video for the Youth 2000 Summer Festival in the homeland of Ireland. Youth 2000 organises regional retreats for young people on a regular basis. This summer Youth 2000 Main Event will be held at Kellenberg Memorial High School from Friday, July 17 - Sunday, July 19. Youth 2000 has been at Kellenberg for many years. The Blessed Sacrament is under the tent for the entire weekend. More than 500 youth attend yearly. Consider making it part of your summer fun. Please visit the website of Youth 2000 for more information! This is the eighth in a series of student reflections from the Life Teen Leadership Conference last summer. Over 500 young men and women gathered together to learn and express their faith. Going to LifeTeen will most likely be the best and most memorable experience of my high school years. It truly made me change the way I look at my religion; how I look at other people, the Eucharist, the Bible, Mass, family, and of course the virtues. The highlights of my experience at Life Teen would be meeting other Catholic teens, in particular the teens around me at Kellenberg and Chaminade. Even though I did not know any of the kids going into the week, I came out of it with some very good friends that I hope to see more often once school starts again. The best part of LifeTeen itself was that we got the chance to go to Mass and Adoration everyday, and neither became boring at any time during the week. Even now at home, Mass has taken on a completely new setting. I followed the advice that Mark Hart gave us during one of the Bible Study sessions and looked up the Sunday Mass readings beforehand. It really did change the whole Mass for me and the practice of reading them before Mass is now a commitment of mine. I am trying to convince my family to do the same. Thank you so much for including me in this trip to Notre Dame. It was an experience I will never forget. At the end of June twenty-four students from our Marianist high schools will be traveling to Benedictine College in Kansas for the Life Teen Conference. Pray for us! Today we mark a holy day. This day is meant to nourish us. It is meant to nourish and give us food for the journey. And like the miracle of the loaves and fishes, it is a miracle that extends beyond our wildest imaginings - feeding multitudes, even today. It satisfies every yearning, every hunger - the hunger for grace, for holiness, for God Himself. With the Eucharist, we get all that. And what began at the table of the Last Supper in the hands of Christ continues today, at our altars. Look at what God did for us. He loves each and every one of us that He sent his only Son so that we might have the possibility of Heaven, the place where all of us will fit, united as we will be for eternity with our Creator. His only Son suffered and died an unjust and tortuous death to free us from our sins. And before His Son died, He instituted the Eucharist so that each of us might have a foretaste of Heaven every day of our lives. For years we have used the film, The Great Santini, to understand our roles as spiritual fathers. We certainly learned what not to be like. And we learned what is necessary to be a spiritual man. A spitirual man is mature enough to communicate and articulate as a man. A man must be able to speak, to be understood and to communicate. And the communication must be in a way that will honor God and convey God's truth to others. Beyond the context of conversation, a young man must learn how to speak before larger groups, overcoming the natural intimidation and fear that comes from looking at a crowd, opening one's mouth, and projecting words. Eventhough not all men will become public speakers, every man should have the ability to stand his ground, frame his words, and make his case when truth is under fire and when belief and conviction must be translated into argument. Think about it. While Hanz and Franz might give us an image of masculinity, we know that a spiritual man must commit himself to something greater than just his physical image. In fact, a truly spiritual man must commit himself to satisfying the needs of just a few people. He is not willing to be domesticated, but he is willing to accept the responsibility that comes with challenges. He knows that when he shirks obligation, he becomes something less than a spiritual man. When others observe that the man is unyieldingly dedicated to his values and ideals, he gains their trust and respect. The clearest way for a man to lose the respect of others (as well as his self-respect) is to violate his own values. Life will test the spiritual man to see if he is willing to put loyalty to others ahead of loyalty to his own principles. The spiritual man will be offered many temptations to expose his true loyalties. A spiritual man’s greatest reward is to live with integrity. And his greatest punishment is what he inflicts upon himself for placing anything above his integrity. Whenever the spiritual man sacrifices his integrity, he loses his freedom and himself as well. What does it mean to be a spiritual man today? How can men consciously express their masculinity without becoming cold or closed-hearted on the one hand… or wimpy and emasculated on the other? What is the most loving way for a spiritual man to express himself? A spiritual man understands and respects the power of choice. He lives a life of his own creation. He knows that life stagnates when he fails to decide and flourishes when he chooses a clear path. When a spiritual man makes a decision, he opens the door he wants and closes the doors he does not want. He locks onto his target like a guided missile. There’s no guarantee he will reach his target, and he knows this, but he doesn’t need such guarantees. He simply enjoys the sense of inevitability that comes from pushing the launch button. A spiritual man does not require the approval of others. He is willing to follow his heart wherever it leads him. When a spiritual man is following his heart-centered path, it is of little consequence if the entire world is against him. Follow your heart, that’s where your vocation is. If you haven’t gotten it already, I am a nature guy. No, not one of those tree-hugging, leftist activists, but a person who appreciates the outdoors. Often times I pray the Magnificat outside when the weather is nice, because one of my favorite things to do is observe what God has created in nature. The most powerful place for me definitely has to be the beach. I love to surf/bodyboard whenever the swells get big, and the power of the waves seems to parallel the power of Christ in my life. This past weekend I headed up to Founder’s Hollow with some other students for a retreat. Most of the retreat was surrounded on discerning out religious vocations, particularly focusing on the Society of Mary. Thus far, it was the best retreat I have ever been on. The best part for me had to be when we were given an hour for quiet meditation. Since the weather was nice I headed outside to the large Cross on the front lawn, grabbed a large green lawn chair, and laid back. I guess you can say my mind was spinning a bit after a long discussion about religious vocations. When will I make my decision? Diocese or Religious life? Will I get to surf ever again? Do I really have to give up sports? When I sat down I put away my rosary beads, put aside the book I wanted to read, and just took a look at the Cross. It’s certainly easy to get all stressed out about many things in today’s world, especially a religious vocation. But when I looked at the cross, I thought about how calm and relaxed Jesus seemed to be at times in his life, especially on the cross. Jesus even had the serenity to say “Father, forgive them” while he was hanging on the cross. That is one thing I need to work on- becoming more comfortable with my vocation. A priest once told me, “When you start to think too much, you start to sink.” Very true. Follow your heart, because that’s where your vocation is. I was able to find God in many places this past week. The first place I found God was in nature. Acres of trees, plant life, and animals filled Founder's Hollow. There is an open field called Tabor overlooking God’s creations below. There the abundance of God's creation abound. There are ponds abundant with wild life everywhere. The next place I found God on retreat was in the beautiful night-time stars. I was awestruck with the night sky at Founder's Hollow. It is one of the most beautiful things that I have ever seen! AThe last place I found God was in the Chapel. The entire atmosphere radiated the presence of God. On the Feast of Pentecost we focused on the fruits and gifts of the Holy Spirit. And the gift of the Eucharist was truely where I found God. In the words, “THIS IS MY BODY” and “THIS IS MY BLOOD”, ordinary bread and wine were changed into the Body and Blood of Jesus Christ. Through the Eucharist, we become more like Christ. On retreat I was able to find God in more places than I could possibly imagine. I know that God is calling me to live a life of holiness. Think about it, God can be anywhere. We just have to find Him and He will lead us. Contributed by one of our Marianist High School students.